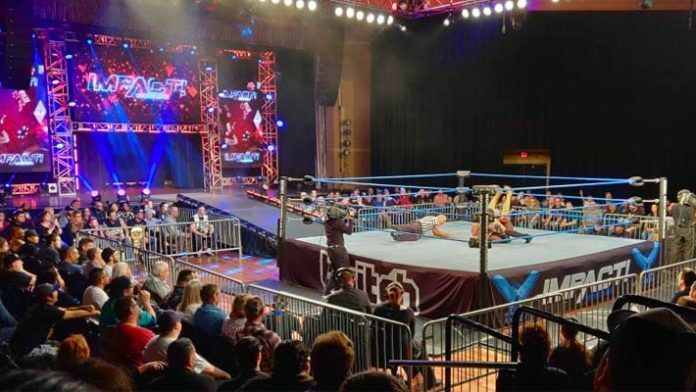 The spoilers from the Impact Wrestling TV taping that took place on Saturday, March 23, 2019, in Windsor, Ontario, Canada at the St. Clair College has surfaced online. – The North, Ethan Page & Josh Alexander defeated El Reverso & Rich Swann. – Fallah Bahh & Scarlett Bordeaux defeat The Desi Hit Squad. – Dezmond Xavier defeated Moose. – OVE’s Madman Fulton defeated Tommy Dreamer. – Madison Rayne defeated Impact Wrestling Champion Taya Valkyrie in a non-title match. – Ace Austin defeated Aiden Prince. – Rosemary defeated KC Spinelli. – Killer Kross defeated Willie Mack. – Cody & Jake Deaner defeated Halal Beefcake, Idris Abraham & Joe Coleman. – Jordynne Grace defeats Madison Rayne to become the top contender to the Knockouts Title. – Zachary Wentz defeated Kongo Kong. – LAX & Brian Cage defeated Impact Wrestling Champion Johnny Impact & Impact Tag Team Champions Rey Fenix & Pentagon Jr.